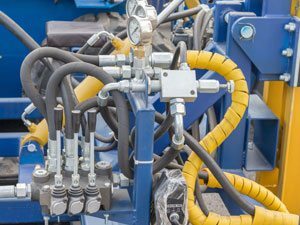 Converting compressed liquid or gas into energy to power machines or transport product is an important element for hydraulic machines across a broad spectrum of industries that utilize fluid hydraulics or pneumatic systems. 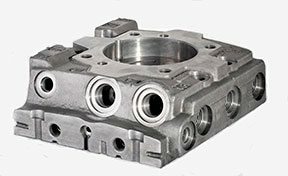 Improving the internal flow characteristics through machined components is crucial to increasing machine efficiency, thus reducing operating costs. Our Extrude Hone® processes are leading the way to achieving high-quality components utilizing highly efficient production methods. Our Extrude Hone processes can provide refined finish surfaces for cylinders and manifolds, improve flow through impellers, and shape entry and exit holes for internal flow through components. Our Extrude Hone processes can help deliver more power, improve efficiency, and improve component integrity for hydraulic and pneumatic systems. Additionally, our processes can improve your productivity without sacrificing quality. At Extrude Hone, it is our mission to provide you with the best solutions to meet your product specifications. Improve hydraulic flow through impellers. Avoid cracks by controlling surface stress relief on components, no matter the profile. Fully automate and control production to deliver continuously reliable results. Maintain the highest quality to meet your component specifications. Improve the speed of component production even for difficult areas such as internal intersections and edges. Reduce friction, vibration and wear for machine components. Optimize machine performance by improving flow characteristics through components. Improve manifold cleanliness to avoid premature dysfunction or destruction.